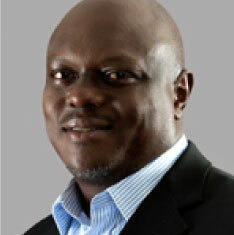 Mr Japheth Katto was appointed to the Board in February 2014. He is a consultant in corporate governance and financial services regulation. 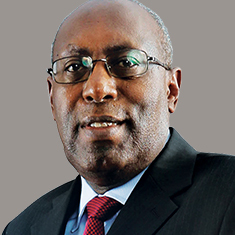 He was the CEO of Uganda’s Capital Markets Authority from inception in 1998 until 2013. He has a wealth of experience in both the private and public sector where he has held various accounting, auditing and financial services regulation roles in East Africa and the UK. Mr Katto is the Board Chairman of Stanbic Bank Uganda, a member of the Board of Trustees of the Duke of Edinburgh International Award Uganda and a member of the Global Council of the UK based Association of Chartered Certified Accountants (ACCA). He holds a Bachelor of Commerce Degree from Makerere University and is a Fellow of ACCA and a member of the Institute of Certified Public Accountants of Uganda. 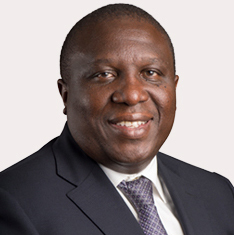 Mr. Jimmy Mugerwa was appointed to the Board in July 2018. He has a distinguished 25-year career in the oil and gas industry and is currently the Managing Director, Tullow Uganda Operations. Mr. Mugerwa is also the Chairman of the DFCU Bank Board and serves in various leadership roles on several Boards, including non-profit organisations. Prior to joining Tullow, he served in various positions at Shell including the Senior Regional Advisor for Sub-Saharan Africa, Kenya Country Chair and GM, Shell East Africa. He brings to EABL a proven track record in diverse industries across the region. Mr. Mugerwa holds a Master of Sciences Degree in Agricultural Chemicals from the University of Wales and also attended the Executive Business Leadership Programme at IMD in Lausanne, Switzerland and the Financial Times Non-Executive Director Diploma. 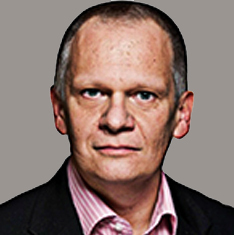 Andrew Cowan Appointed Group Managing Director in July 2016. Mr. Cowan is an established business leader, with a wide range of commercial and strategic management experience spanning over 20 years in the Fast Moving Consumer goods sector. Prior to this appointment, he led Diageo Great Britain (GB). Mr. Cowan’s experience straddles corporate leadership, strategy development, operational management as well as sales and marketing. 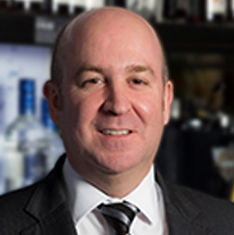 Andrew joined Diageo in 2008 as Commercial Director for Northern Ireland and was appointed to the role of Commercial Director in the Republic of Ireland a year later. He returned to GB in 2011 and has led the Diageo GB business since then. Dr. György Geiszl EABL Group Finance Director He joined Diageo in 2006 as Finance Director Corporate Region and Diageo Business services Centre (DBSC). He has subsequently held other Senior Management roles in Diageo including Group Chief Accountant and most recently Finance Director for Diageo’s Russia and Eastern Europe markets. Dr. Geiszl is a qualified Chartered Accountant and in addition holds a Doctor of Economics Degree from the University of Janus Pannonius, Hungary. Meet the statutory team that also helps in managing the team in a less mundane basis.